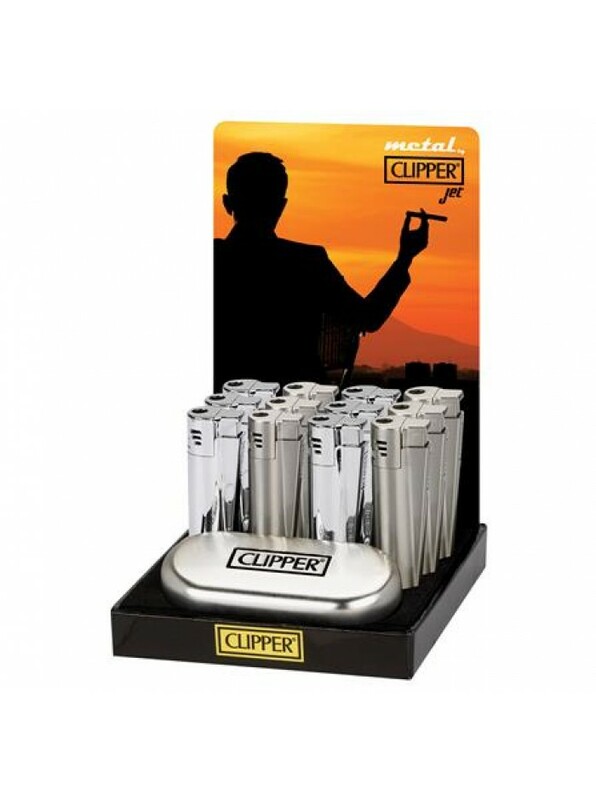 Clipper Chrome Jet lighters are a sleek and stylish windproof flame lighter. An equal mix of refillable shiny and brushed chrome lighters. Each display comes with 12 metal presentation tins. 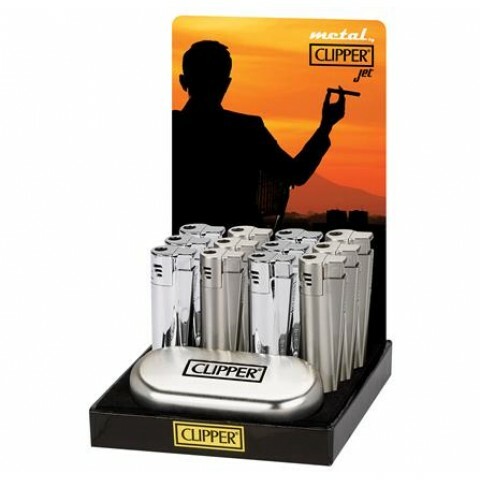 12 lighters per display.